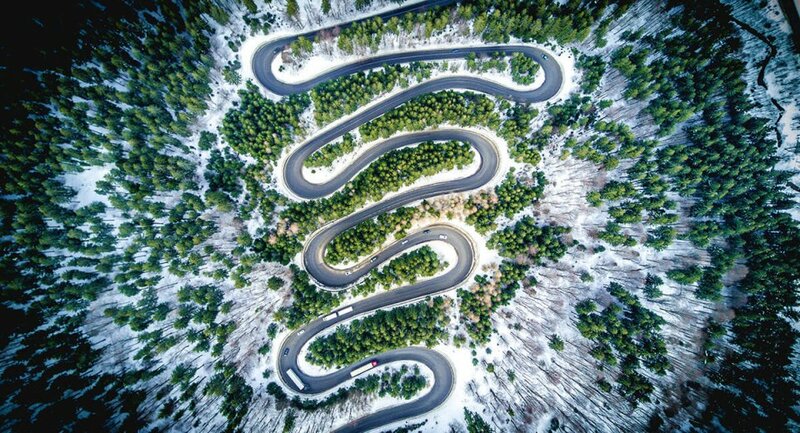 Photography drones allow individuals to capture photos that previously could only be taken from helicopters or planes. 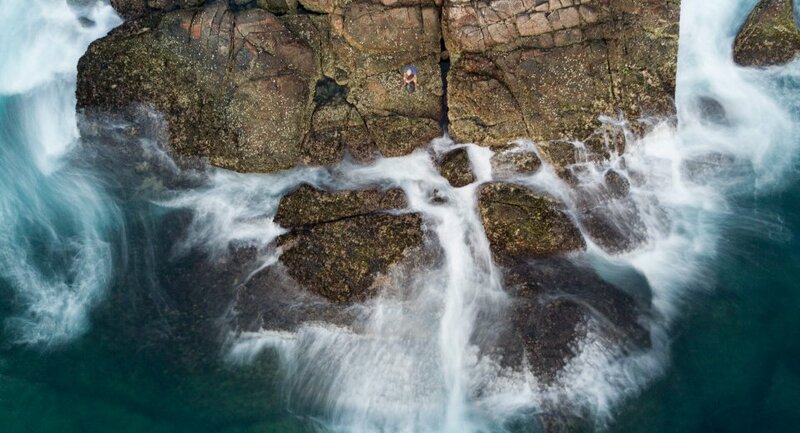 More and more photographers are buying drones and trying their hand at aerial photography. If you’re new to both drones and photography, start by reading the Best Camera Drones Buying Guide. 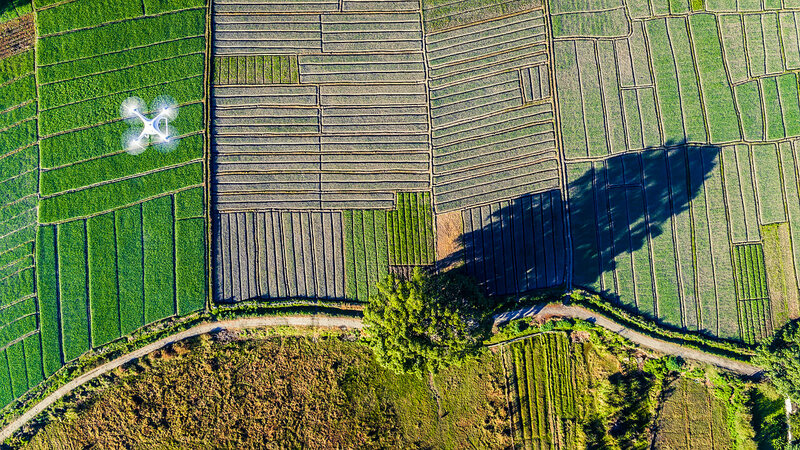 It introduces all the key elements to consider when choosing a photography drone, including flight safety, image systems, transmission systems, intelligent features, portability, and service. Image quality is the most important. If you have any camera knowledge, you will know that sensors directly affect image quality. This also applies to aerial photography drones. In the drone market, mainstream models such as the best-selling Mavic Pro use a 1/2.3” sensor with 12 megapixels. 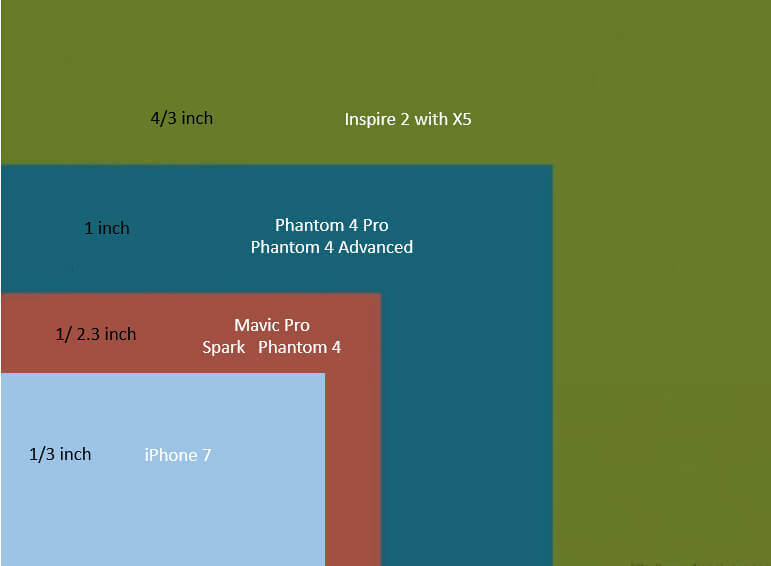 This sensor size is almost twice as large as the iPhone 7’s 1/3” sensor. 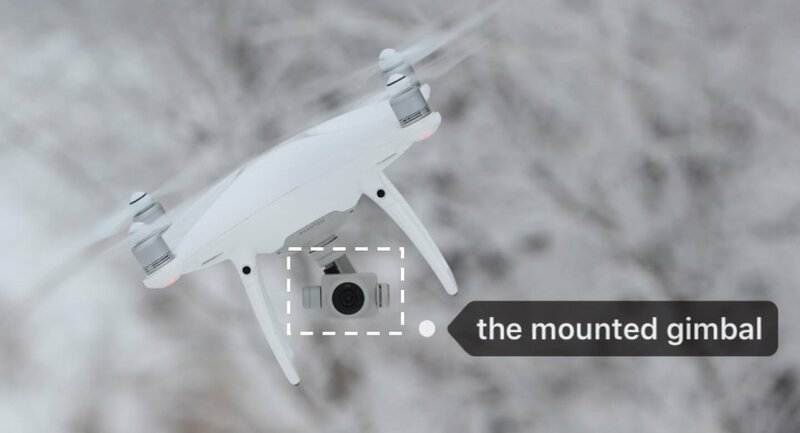 Professional photography drones, like the Phantom 4 Pro V2.0 have increased the sensor size to 1”, improving the resolution to 20 megapixels. The most powerful professional photography drone, the Inspire 2 (with a Zenmuse X5 camera), uses a 4/3” CMOS. A larger CMOS makes it easier to shoot high-quality footage in low light , but unless you’re primarily shooting at night, don’t worry too much. According to our tests, the Mavic Pro and Phantom both provide high-quality images during daytime shooting. The video resolutions of drones can vary from lower-quality HD to 4K. If your video editing involves adding a filter and uploading to Facebook or Instagram, shooting in 1080p is enough. But if you are a vlogger or you want to shoot cinematic video, you’d better work in 4K. Video editing decreases the footage resolution due to scaling, rotating, and cropping. If you’re starting with 1080p source material, the resulting video may be noticeably less sharp. 4K video gives you lots of extra pixels to play with. You may also see frames per second (fps) listed in drone specs. Fps dictates how many unique consecutive images a camera can handle each second. 24 fps to 30 fps shoots smooth footage. However, for special effects like slow motion, you might need 60 fps. Is Raw/DNG format support necessary? If you don’t do your post-production with Lightroom or Photoshop, ignore this section. But nearly every photographer edits their photos in some way. If a photography drone can shoot RAW/DNG photos, this allows for a variety of editing options in post-production. In RAW/DNG format, a photo records all of the data received by the sensor. It’s especially helpful for nighttime shoots. RAW/DNG formats create more possibilities for aerial photographers. Does the drone hover perfectly still? Hovering may be a new concept if you’ve never flown a photography drone before. Stable hovering is as important as image quality and dictates how well a drone can take aerial photos. If the drone can’t hover, it will constantly rise, fall, or drift, resulting in blurry images. Stable hovering requires an advanced flight control system and onboard sensors. In this regard, many pilots agree that DJI drones are far-and-away the leading models on the market. Don’t believe me? Watch a couple of DJI drone videos on YouTube and check out their hovering function. DJI Spark’s hovering functions are particularly good. Buy a photography drone with a mounted gimbal. A gimbal is a crucial piece of equipment for steady videos. Some cheap camera drones only offer gimbals as accessories or none at all. Without a gimbal, shaky videos are inevitable. Always remember to choose a camera drone with a mounted gimbal to avoid this. As far as I know, the DJI Phantom series is the first consumer drone series to be equipped with a 3-axis gimbal. 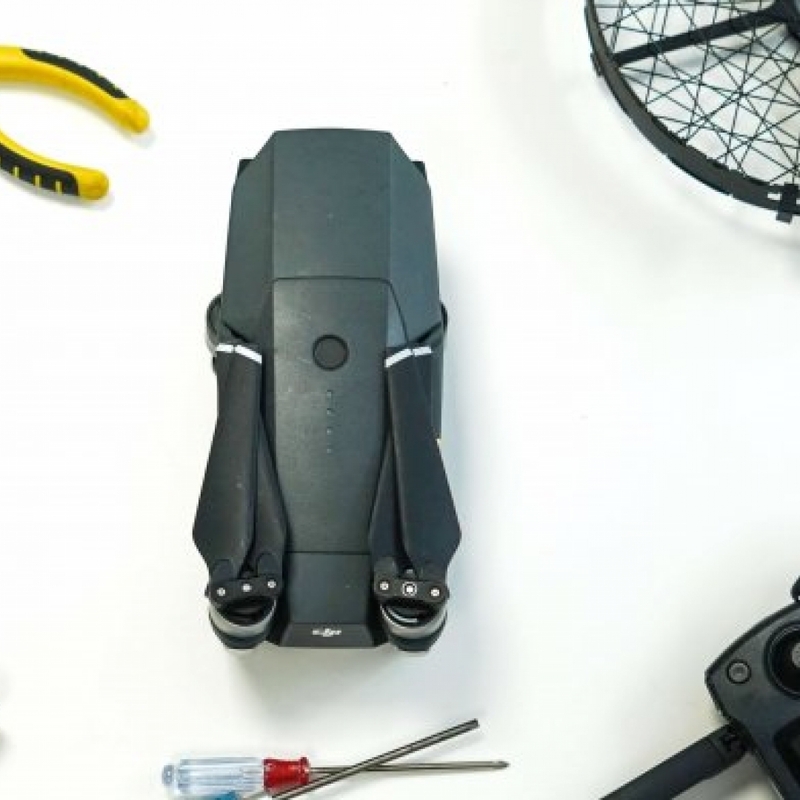 The new Mavic Pro also uses a tiny 3-axis gimbal designed for smaller drones that is proving to be a revolutionary evolution in mounted gimbal technology. 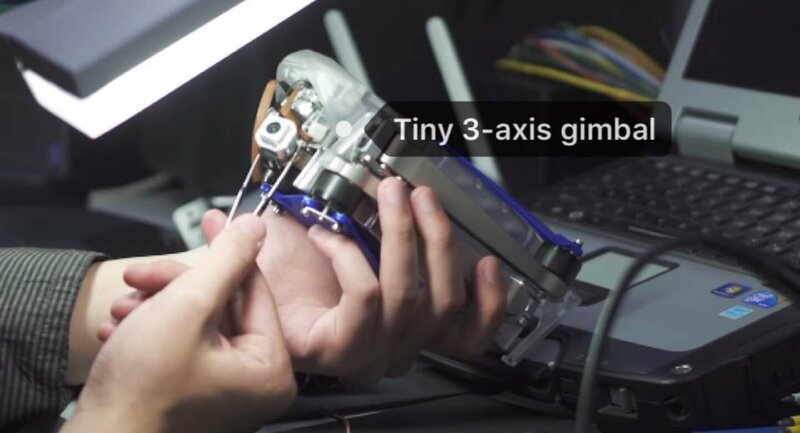 The tiny 3-axis gimbal is a revolution in the industry. Don’t worry about flight time. Here’s the truth: most photography drones can’t fly longer than 30 minutes. The drone industry doesn’t have a solution to this yet. Drones with flight times over 20 minutes are considered top-level in the industry. 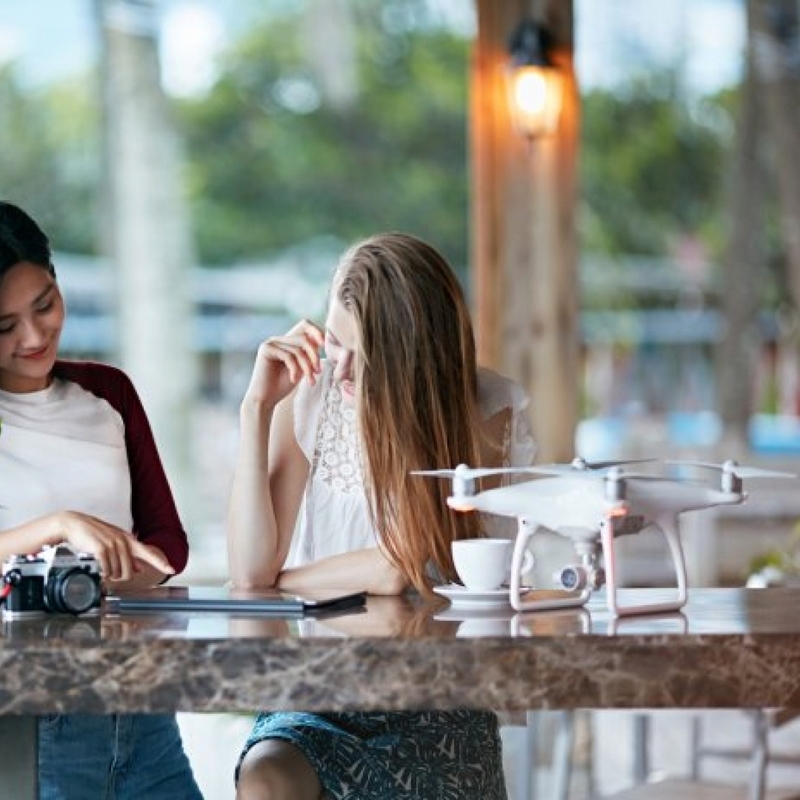 It’s definitely better to select a drone with a longer flight time, such as the Phantom 4 Pro, which features a flight time of more than 25 minutes. However, the more important thing is learning how to best use every second—and also to buy at least two extra batteries. Good photography drones are expensive. Not only because they have good image quality and a good flight control system, but also because they come equipped with intelligent functions to support shooting. Drones can track you automatically, fly along waypoints, take selfies with a gesture, and more. Different photography drones have unique features. The Mavic Pro’s camera turns 90 degrees to support vertical shooting. The Phantom 4 Pro comes equipped with a mechanical shutter to cut distortion when shooting objects moving at high speeds, while the professional-grade Inspire 2 supports dual-operator control. Usually, people never think about why they should buy a popular drone. 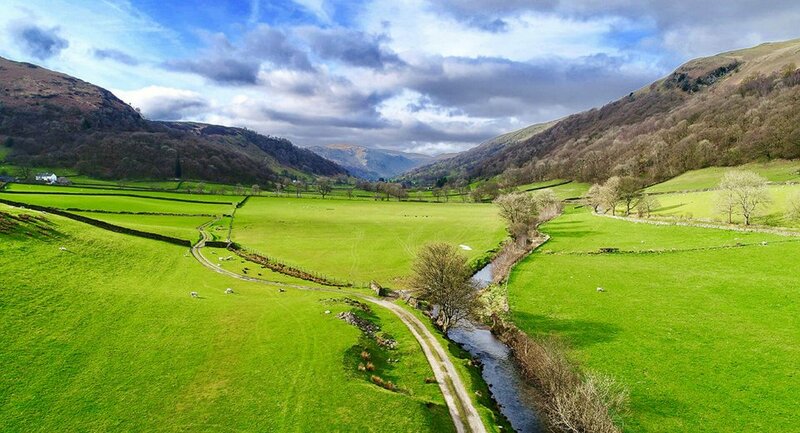 Owning a popular photography drone makes it easier for you to get answers to your questions. Let’s say you find a problem with your drone. With popular drone models, you can quickly find a solution through other pilots on online forums or social media groups. Meanwhile, there are thousands of tips and tutorials videos available on YouTube, which can help you become a better pilot and photographer. 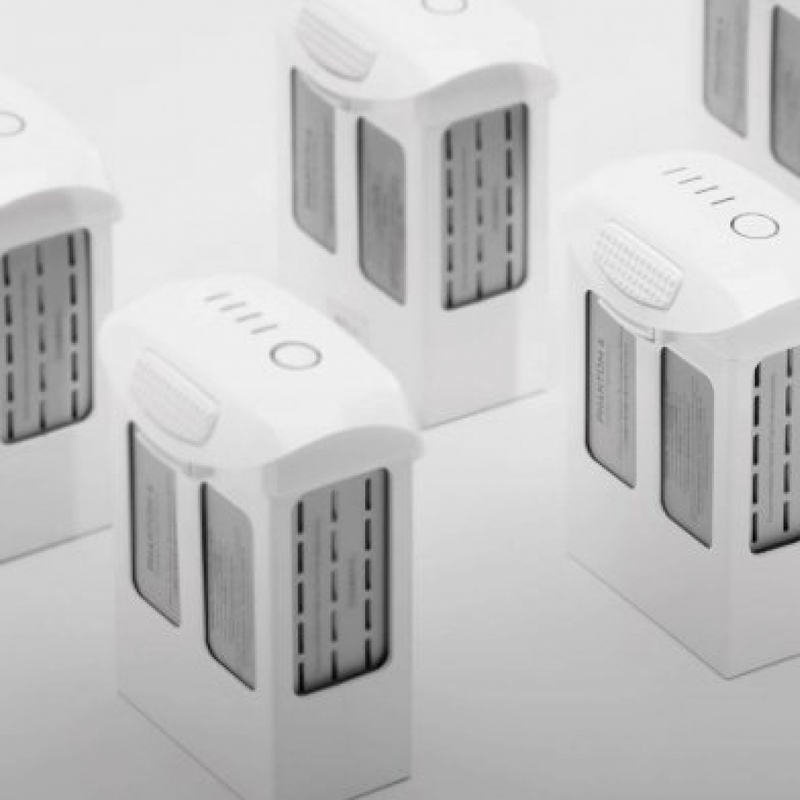 You can also buy a whole host of third-party accessories. The Mavic Air is DJI’s newest addition to the Mavic family. It lives up to the Mavic reputation for being a professional-grade drone packed into a portable package. It’s perfect for hobbyists or pilots who are interested in high-quality photography but demand a product that can be packed up and taken on-the-go. However, portability doesn’t mean that you have to sacrifice performance. With 12 MP still shots, and 4K 30 fps video, the Mavic Air is comparable to some of the best photography drones on the market. The DJI Mavic Pro is known for its incredible versatility, and has even been described as “the Swiss Army Knife of drones.” I couldn’t agree more with this description. A true jack-of-all-trades, it is capable of 12-megapixel photos with DNG support, 4K 30 fps video, 7 km flights, and 27 minutes of flight time. 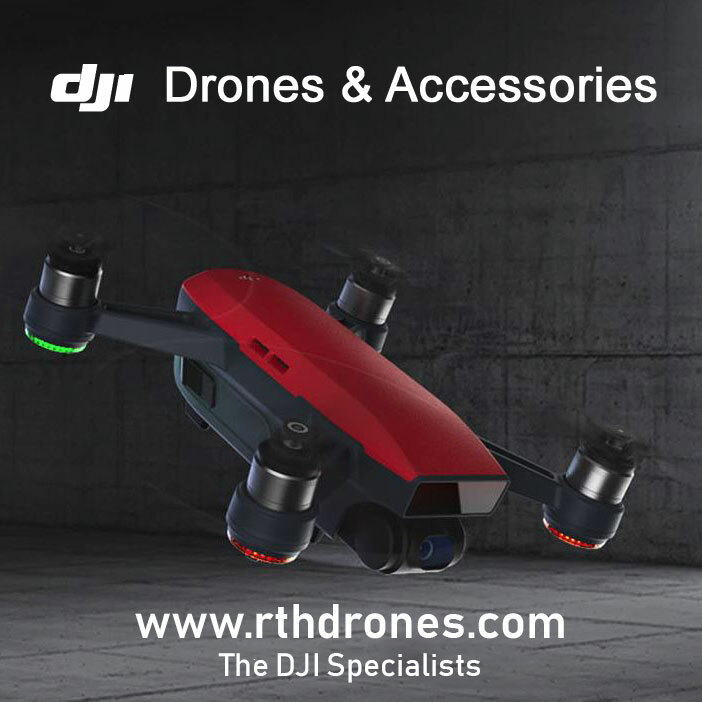 As if that wasn’t enough, it features a 3-axis mechanical gimbal, multiple intelligent flight and photography modes, and DJI’s advanced flight safety system. 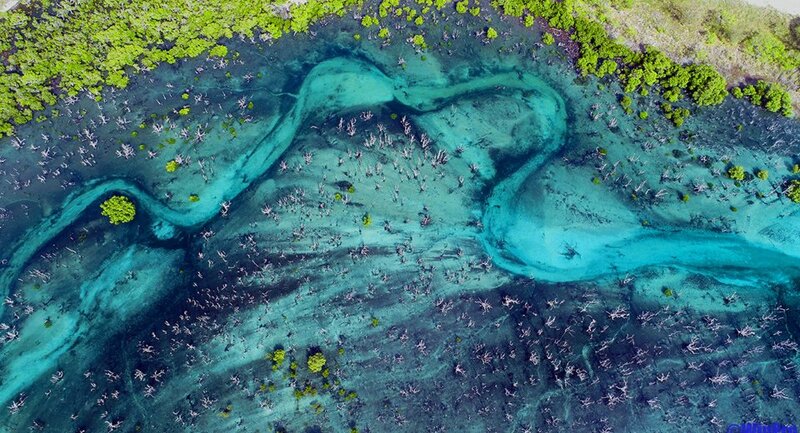 Made for professional photographers, Phantom 4 Pro V2.0 retains many of the great features of the original Phantom 4 Pro, while also adding some new exciting improvements. Having flown Phantoms for over three years, I cannot tell you how excited I am for this. Among the biggest upgrades is the new remote controller, which features the new OcuSync video transmission system. A dual-frequency 2.4/5.8 GHz system, OcuSync can switch between frequencies to ensure clear transmission at up to 4.3 mi (7 km). A 1” 20 MP image sensor captures 20 MP stills or 4K 60 fps video, delivering the outstanding photographic performance that the Phantom series is known for. 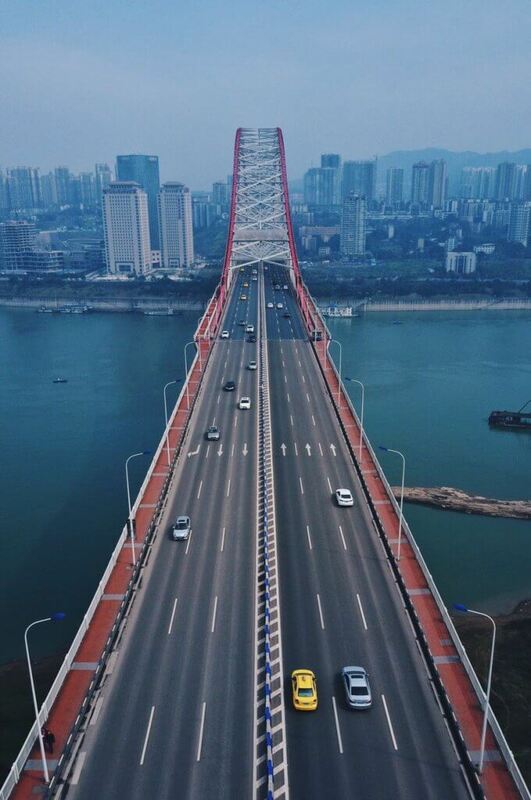 Professional aerial photographers and filmmakers love the Inspire 2. This revolutionary drone records at up to 6K in CinemaDNG RAW. It goes from 0 to 50 mph in five seconds and reaches speeds of up to 58 mph with dual operator control, an FPV camera, and a 360° panning gimbal. The Inspire 2 is excellent for anyone looking to add to their own photography business with a Hollywood-quality drone. When considering buying a drone for photography, remember that you must first identify your own needs. Not everyone needs a professional photography drone, and people put different emphasis on certain features. Considering the camera quality and image format will greatly help to narrow down your options. No matter what level of photography drone you’re looking for, DJI has something to meet your requirements. 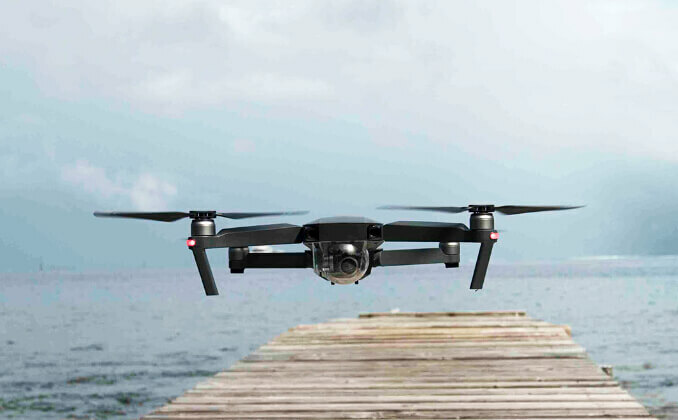 From the consumer-friendly Mavic series to the professional-grade Inspire 2, there’s a drone for everyone!